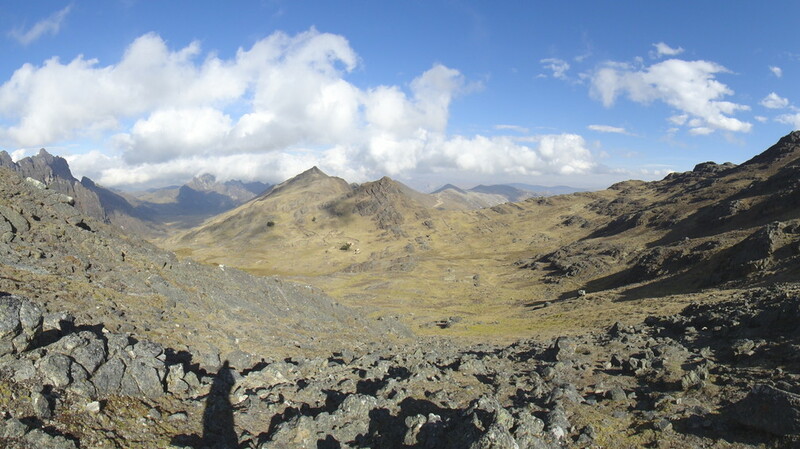 Here we reach the top of the pass, the highest point of the walk at 4400m. Down towards the left, the valley leads to Cocón. Instead we follow the mountain around to the right to the pass over to the Pampa of Ricricán.